A fighting set is a sequence of movements which teaches you how to apply the martial art in a real-life fight. 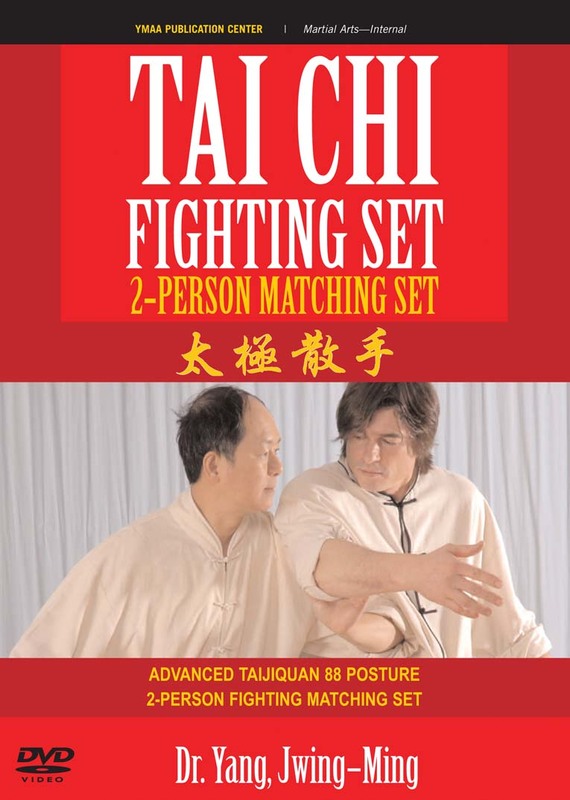 Study and master the 88 Posture, 2-Person Fighting Matching Set for advanced Taijiquan. Every day, Tai Chi Chuan is practiced by millions of men and women worldwide as a moving meditation, known for its health benefits. However, its origins are in the martial arts. A fighting set is a sequence of movements which teaches the student how to apply the martial art in a real-life fighting situation. Dr. Yang, Jwing-Ming comprehensively instructs and demonstrates the 88 Posture, 2-Person Fighting Matching Set for advanced Taijiquan (Tai Chi Chuan). In ancient times, this form was taught by a few masters to only a handful of trusted students as a part of the final training of Taijiquan as a sophisticated and extremely effective fighting art.